This unique project designed by New York landscape architect Diller Scofidio for the Liverpool biennale, diller scofidio + renfro presented their installation of 'abores laetae', or joyful trees. 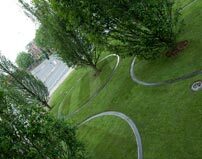 Dismissing our conventional distinctions between nature and artifice, the installation consists of 17 hornbeam trees which have been planted in a grid pattern on an abandoned site, en route to Liverpools city centre. In the middle of the landscape, some trees are electrically assisted, and which slowly begin to rotate. Here the shade moves at an artificial speed, transforming the patterns we see in nature. The project is a reinvention of the conventional public park, where the trees become animated around you. This was the flagship scheme for the 2009 Manchester International Festival and was designed by German artist Gustav Metzger. 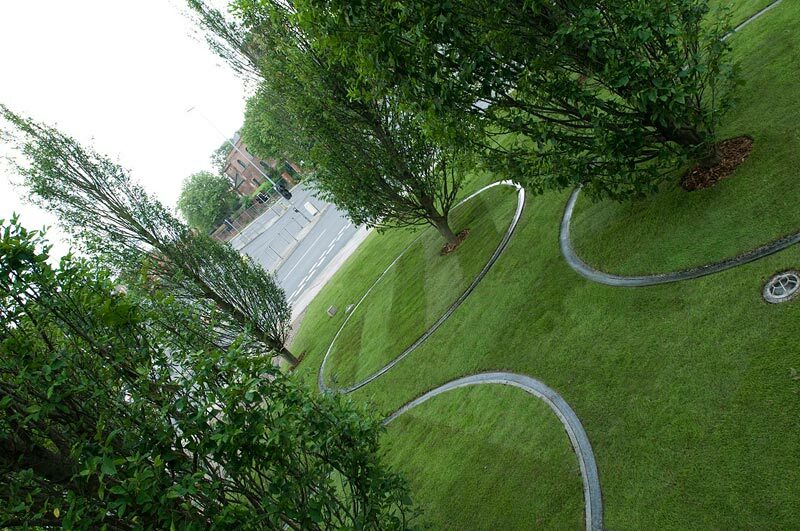 Specimen Trees worked with Taylor Young landscape architects to present this alluring and stunning installation which is now on display outside Manchester Art Gallery. 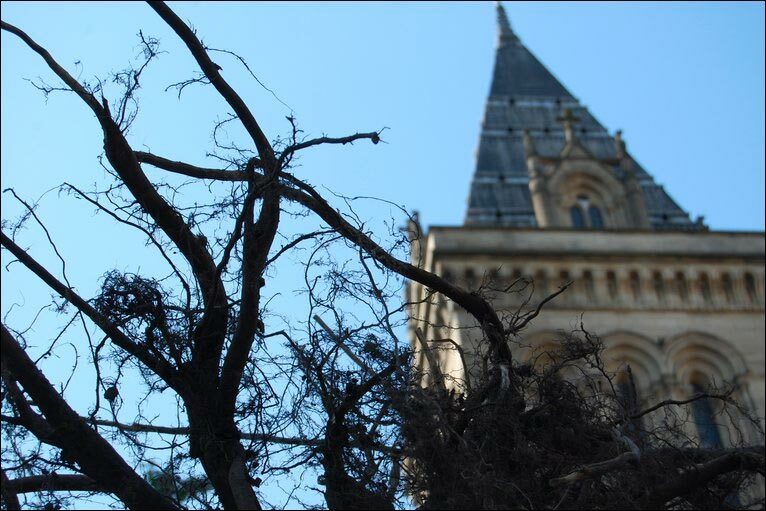 Twenty-one young willow trees were uprooted, turned upside down and set into concrete in the city centre. "I'm aiming at people saying, 'My God! What a mistreatment of beautiful young willow trees!' " Gustav said at the time. 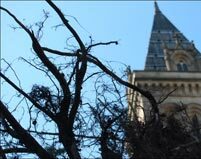 "Trees are being mistreated all the time. Violence and trees go together." A derelict Hall was brought back to life after an extensive rebuild to the house and gardens. 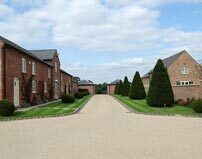 The project saw the opportunity to create new formal gardens and lawns with herbaceous borders, a fruit orchard and parkland landscaping. The ambitious plan was conceived using mature specimens of Yew, English Oak and Cedar to create a period landscape to match the extensive rebuild of the house. 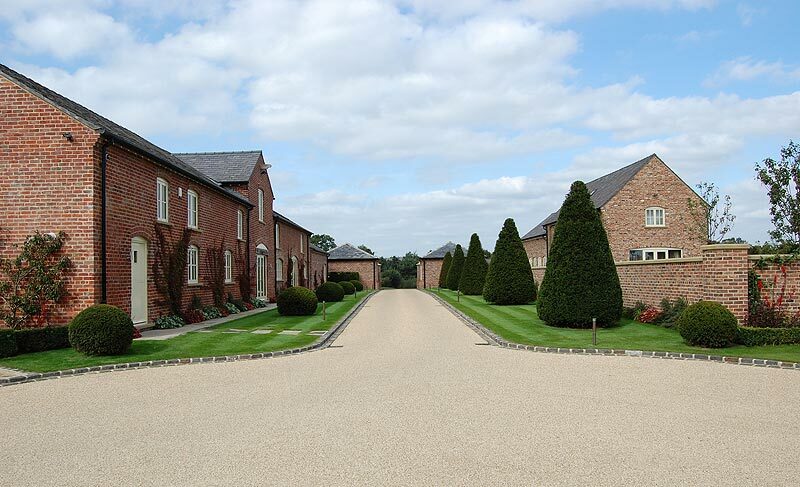 Mature hedging of Holly and Hornbeam provide privacy and screening to the gardens, lawns and tennis courts. The gardens have been short listed for a national landscape award. 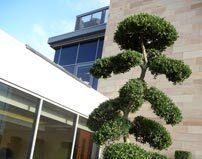 A new roof terrace saw an opportunity to create a staff relaxation area by planting sculptural Buxus and Taxus elements amongst a carpet of Saxifrage. 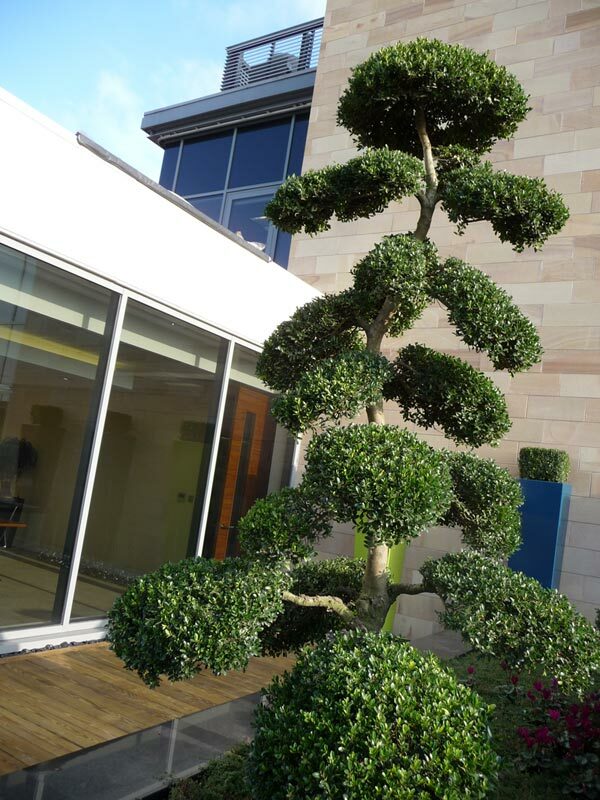 Individual specimens of Ilex crenata combine with the Cloud Hedging to add to the topiary effect. Seasonal bedding plants are introduced to add splashes of vibrant colour throughout the year.